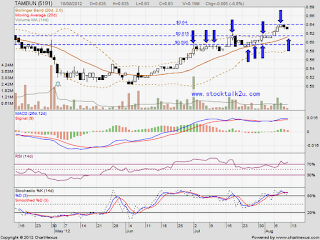 TAMBUN (5191) retrace down from RM0.64 peak. 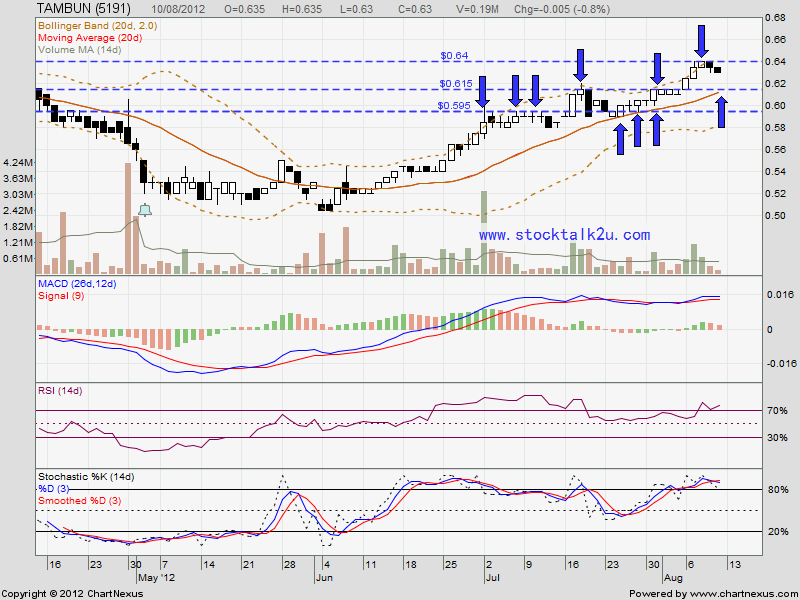 Immediate support @ MA20 which is around RM0.615 level. Immediate resistance @ RM0.64 level.